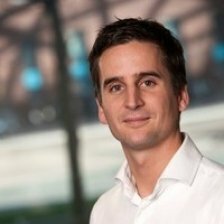 Mark van den Berg is Strategic Business Developer, Internet of Things for KPN, the biggest ICT provider in the Netherlands. With years of experience in the IOT domain, Mark has gained considerable knowledge of the business cases for IOT projects focusing on eUICC/Global SIM technology as a long-term strategy as well as through direct customer implementations within KPN IOT.As Business Developer at KPN, he is responsible for the commercial and technical implementation of eUICC solutions for both national and international Internet of Things accounts. Long term network development based on customer requirements and company strategy is also one of his key responsibilities. Mark also plays a key role in KPN’s international partnership development for IOT. Mark is currently Chairman of the IoT World Alliance, of which KPN is one of the founding members. Under Mark’s leadership the Alliance has expanded its coverage to include new MNOs furthering the Alliance’s global reach offering eSIM and other connectivity services in more than 80 countries. Before joining KPN, Mark fulfilled several strategic product management roles at large companies where he was responsible for developing new business. In many cases, he successfully used existing data and monetized it by converting it into value-adding information.